I munch on a packet of trail mix which I luckily bought in Tucson and sip warm water from a plastic bottle. The absence of life creates a searing numbness. Every café, motel or RV hook-up is boarded up and closed. Every house or trailer is for sale or abandoned. There are no birds, no cattle and no road kill. The welcome sensation of freedom, of being alone on an empty road. Driving across the Llano Estacado, I feel, for the first time on this trip, at home. Is this a trick of fading jet lag, of getting used to the sun shining from the south instead of the north? After all, there are few places more different in landscape and culture from the suburbs of Washington than the plains of west Texas. Perhaps it’s just the welcome sensation of freedom, of being alone on an empty road with the promise of adventures ahead. 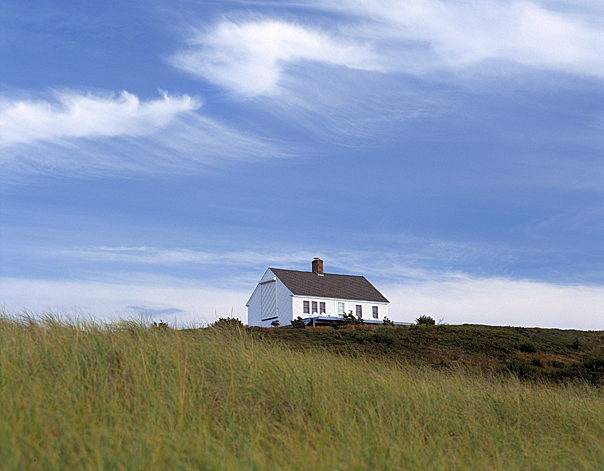 Edward Hopper called two places home for most of his life. His winter home was a top floor apartment in Washington Square, Greenwich Village, in an unpretentious building famous for its artistic tenants. He made his summer home in Cape Cod, in a rustic, self-designed cottage in the small town of South Truro. Both homes were spartan in the extreme but they provided him with the vistas and settings for most of his pictures. Hopper’s boyhood home and place of birth was Nyack, New York, a small town upstream of New York City on the Hudson River. He also lived in Paris for a total of eighteen months in his twenties. Shunning the expatriate artistic scene (‘I met hardly any painters,’ he once said, and no ‘Americans that were of much importance’) he nonetheless enjoyed Paris and its lifestyle and studied French with enthusiasm. Nyack and Paris inspired much of Hopper’s early work. The former was conjured up in ghostly nostalgic paintings of the stairways (Stairway, 1949) and bedrooms in which he spent his childhood. His Parisian pictures, in contrast, are airy and Impressionist. Both were an attempt to find a definitive style which took almost twenty years to come to fruition. How do you define home? Is it where you were born, grew up or where you live now? 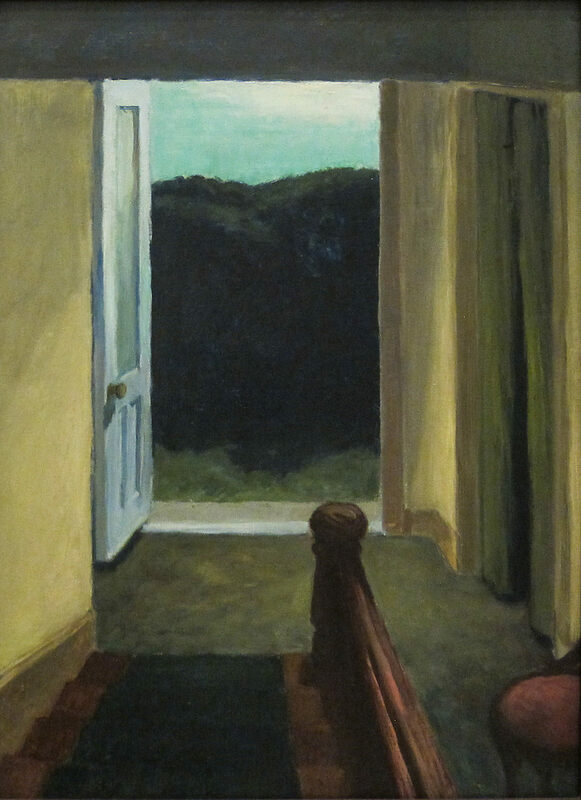 I love that painting “Stairway.” It’s a serious reverie by Hopper about the house he grew up in and continued to visit regularly all through his life (to visit his sister who had remained in the house and to pick up his car that he left there in Nyack rather than in NYC. In real life the house is a long block from the banks of the Hudson River, but in Hopper’s imagined painting a darkly moody Hudson River seems only steps away. We are all very fortunate that the Hopper family house was saved from destruction by a volunteer group of Hopper admirers some decades ago. 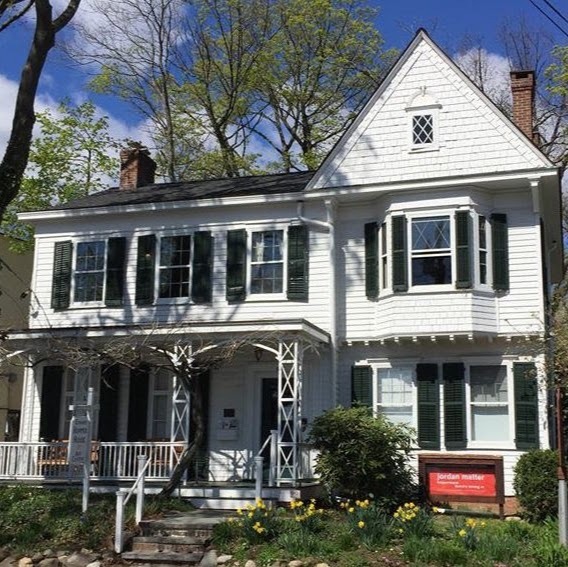 (It’s now the Edward Hopper House Art Center and well worth a visit- edwardhopperhouse.org ). Thanks Phillip! I’ll go to Nyack later in this journey and share my own thoughts. As you know, Hopper was entranced by the water and sailing. Having the Hudson River nearby growing up was a big part of that.